​ The Friends of the East Brookfield Library focus is “How Can We Help Our Library”. There is so much going on at our Library and we do our part by raising funds for additional programs, supplies and equipment above the allotted budget. To raise funds, we organize the Annual Book and Bake Sale and Membership Drive, and sponsor several raffle basket sales a year. 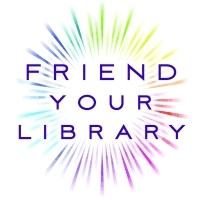 The Friends is a volunteer group that meets once a month for about an hour at the library. We always welcome new ideas and new members. Check with the Library Staff for our next scheduled meeting. We would love to hear from you.